Tucson is home to some of the best golf tournaments in the country. With ideal weather year-round, it’s no wonder golf enthusiasts flock to the southwest town year after year. Here’s a look ahead at the top Tucson golf events to hit this year and next. The 8th Annual Golf Tournament happens Friday, November 6, courtesy of Big Brothers Big Sisters of Tucson. The tournament takes places on the beautiful courses of La Paloma Country Club and registration includes a full day of golf, silent auction, and lunch. The four person scramble starts promptly at 8:00 AM. To find out more on ticket availability, contact Veronica Siaz at veronica@tucsonbigs.org or 520-624-2447. On Sunday, November 8, there is an annual golf tournament presented by Casino Del Sol Resort at its Sewailo Golf Club. 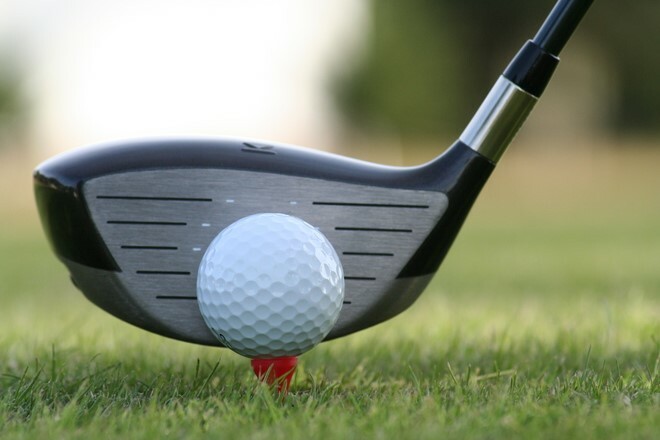 The event is called Golf Fore The Arts and proceeds benefit The Tucson Museum of Art, which is dedicated to fulfilling the mission of “connecting art to life.” The event costs $150 and includes breakfast, prizes, an awards luncheon, and a Tommy Bahama’s gift card. The event ends at 3:00 PM. Register online or obtain more information by emailing MSlominski@TucsonMuseumofArt.org or calling 624-2333 ext. 100. The Tucson Women’s City Amateur Golf Tournaments take place November 21-22 at Randolph Golf Complex Dell Urich. Schedule details have not yet been released; however the event runs from 8:00 AM to 2:00 PM and registration is $150. Call 520-791-4161 for more information. The Tucson Conquistadors Classic returns in 2016 as one of the most anticipated Tucson golf events of the year. The event is held March 14-20 at the Omni Tucson National Resort. The Classic features 81 players competing for a $1.7 million purse. Proceeds from the tournament benefit youth athletic programs in Southern Arizona. This year, The Tucson Conquistadors celebrate 70 years of Tucson’s favorite sport and their accomplishments of helping raise over $29 million for Arizona’s youth. Ticket prices vary based on available suite options. Pro-Am packages start at $3,500 per golfer, per day for an amateur slot. To purchase a spectator package or to donate, visit www.conquistadoresclassic.com. For more information, call 800-882-7660. To stay abreast on upcoming Tucson golf events, see the Visit Tucson events calendar and search “golf.” With over 350 days of sunshine per year and annual golf events for every season, Tucson is the ultimate “sweet spot” for this timeless sport.